Lead Generation That is Professional and Effective. Win More Customers! 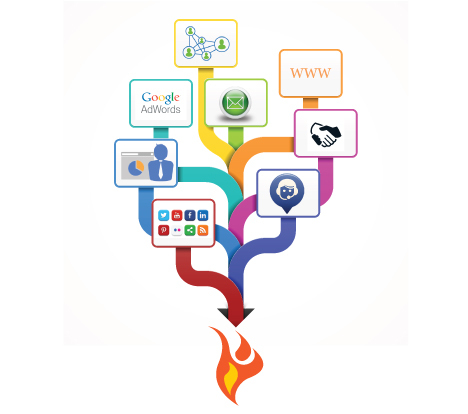 Lead generation marketing plans can be very simple to very complex. Every company has a unique way of finding new customers. From simple channel communications and customer acquisition campaigns to cross channel campaigns to lifecycle campaigns, Ignition Marketing works with each of our clients to ensure the correct message is being delivered to the correct customer through the correct channel at the correct time – every time! Don’t spend your valuable time experimenting with “free trial” lead generation products that make unrealistic promises of “quick and easy”. As a business owner, you have confidence in your expertise, so do we. Our philosophy of keeping focused on selecting the most applicable actions from our catalog of custom marketing services allows us to quickly differentiate between “need to have” and “wish list” objectives. In many cases, a business may just need to have the basics created so that they can open for business, while other businesses are at a complicated growth stage and require auxiliary resources to get to the next level. We develop marketing plans in stages, to execute on the critical items first, always keeping an eye on the long term goals.